I’ve started trying to cut back on my spending. This is hard because I’ve been losing weight and we are moving into warmer weather, so clothes I haven’t worn in a while and old standards also don’t fit. Several weeks ago, I was down in Richmond to see the Picasso exhibit at VMFA. I stopped at Nordstrom while I was in the area and picked up two new shoes for spring/summer. After walking around the house in them for a while, I’ve decided they both need to go back. For the price, given the circumstances, they just aren’t worth keeping. 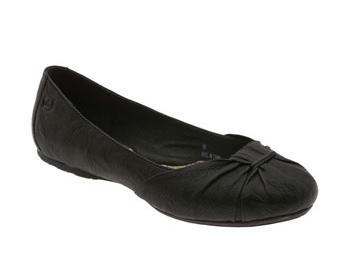 I have been wanting the Born flats for a long time, but never caught them on sale. It seems they aren’t seasonal, so they only type I could find on sale were weird velvet versions. I went down half a size, to keep them on my feet, but my feet feel just slightly too scrunchy. I’m paranoid they won’t stretch out enough, or will stretch out too much. Back to the store! I don’t exactly love DSW, because I think they talk a big game of having good prices, when really they have average-to-expensive shoes, or good deals on shoes that are so “unique” that I won’t get a lot of use out of them. I’m also convinced (based on no actual research) they just get brand name shoe companies to make lower-priced versions for sale specifically in discount stores. So they might SAY the retail price is $80, but their price is $60, but if $60 is the discount retailer price for that shoe, then it’s $60, period. 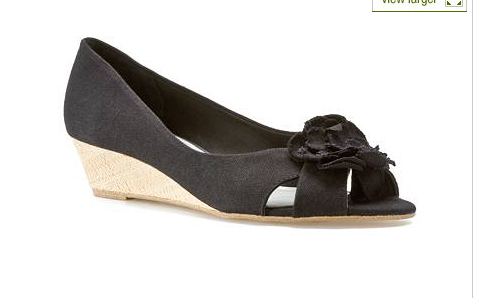 Anyway, I picked up these wedges, which fit my feet better than the Born flats. They were $50, which is $30 cheaper than the Borns. I’m not expecting them to last as long, but they should be good for at least a year. 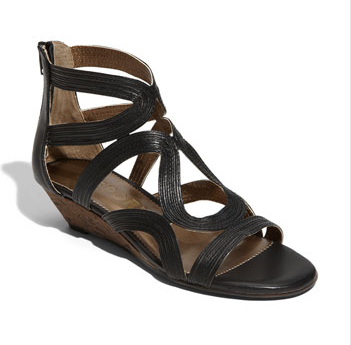 Finally, I picked up these black sandals to replace the Report sandals. There is an adjustable buckle and no back zipper, which is more wearer-friendly. They aren’t quite as cute, or they are more cute than cool. But get this: $9.24. That’s how much I spent, after a 15% off coupon and $20 in Kohl’s Cash (thanks to buying some black pants for work). That’s a savings of over $70 compared to the Report sandals. They just lowered the price of these shoes online. If I can get a price adjustment tonight, then I will actually get about $5 back. So what do you think? I’m spending less than the cost of one pair of Nordstrom shoes, for two pairs of shoes. That aren’t quite as cute. But cute shoes don’t pay the bills, right?